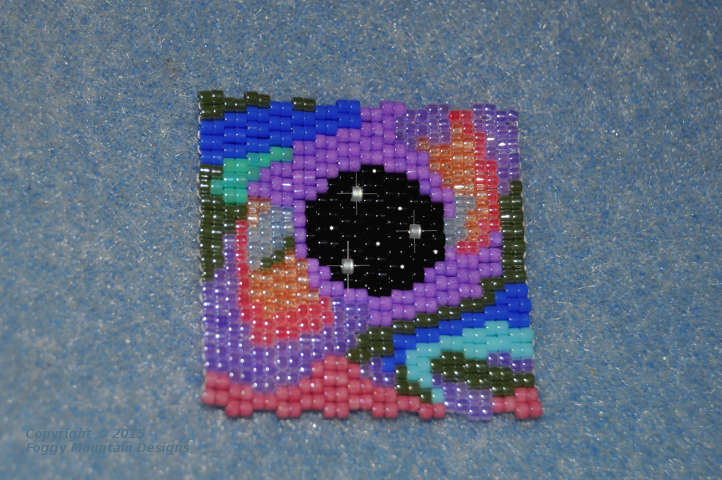 Here is a new 2-drop peyote pattern for the Bead-it-Forward gang. The squares are so small (28×21) that I went with part of a butterfly wing this time. 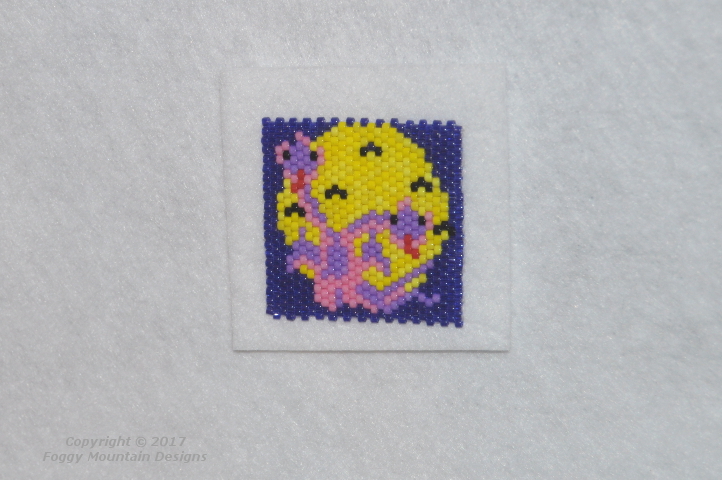 Your choice of colors or bead as-is. 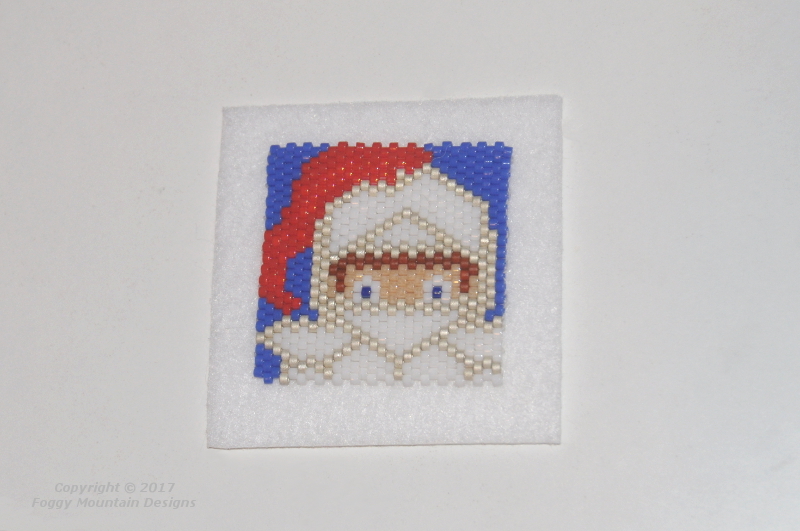 Have fun and happy beading! 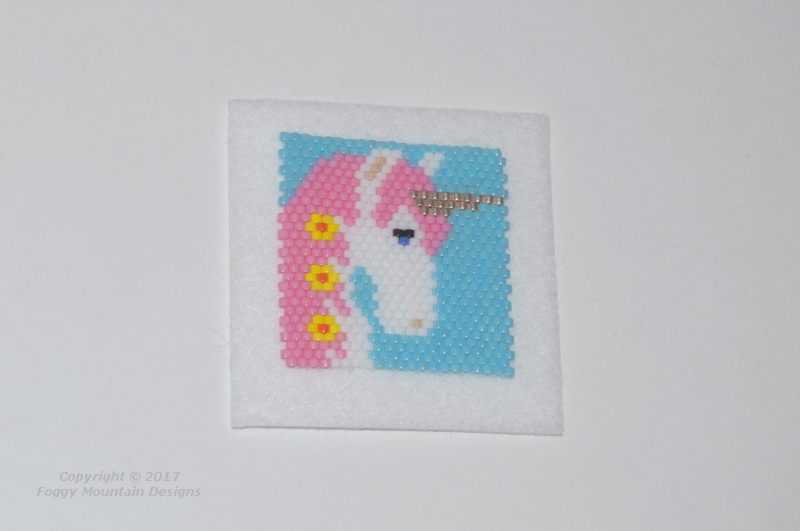 Free Pattern Friday is here again. 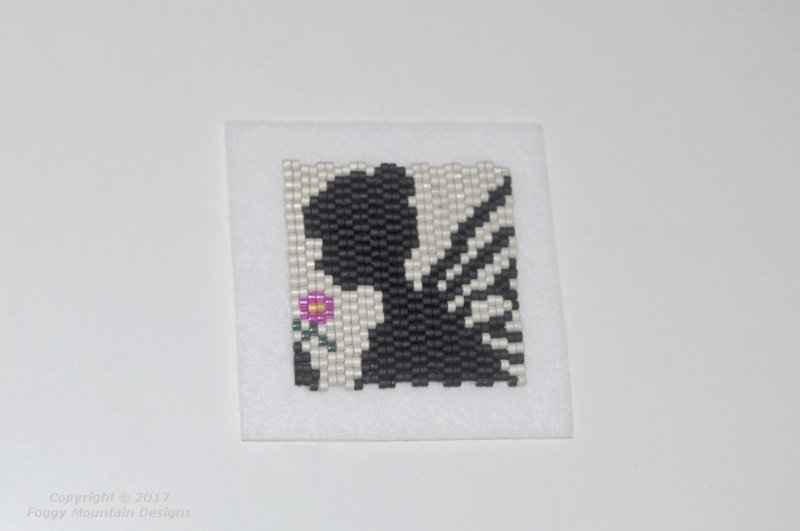 Your challenge, should you choose to accept it, is to design a butterfly square for Bead-it-Forward. 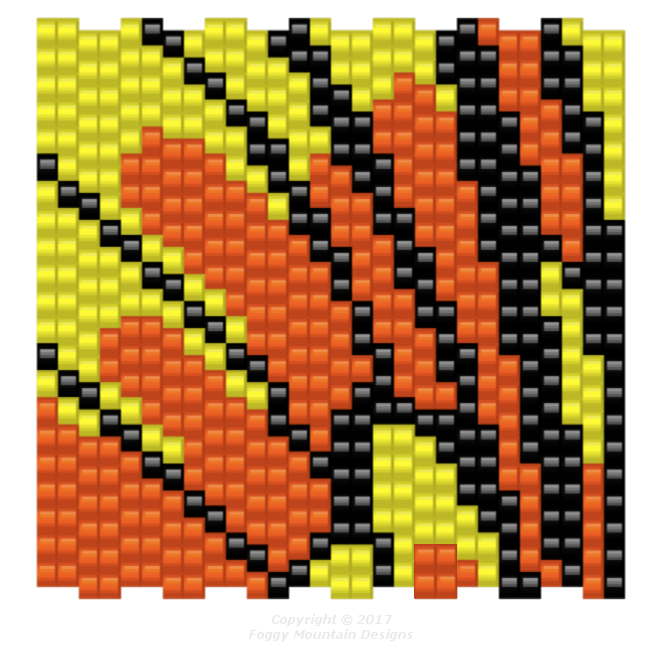 I know some people suffer from brain freeze when asked to make a pattern (I still have that problem from time to time) so I’ve made a graph with a butterfly outline. Choose your favorite Delica colors to fill in the butterfly and add a background – it can be a solid color or you can get creative: flowers, trees, vines, clouds, etc. Feel free to modify the shape of the butterfly, if you want! Would you rather stitch than design? Here are two charts that I made for examples. Click the images, right-click and save to your hard drive. 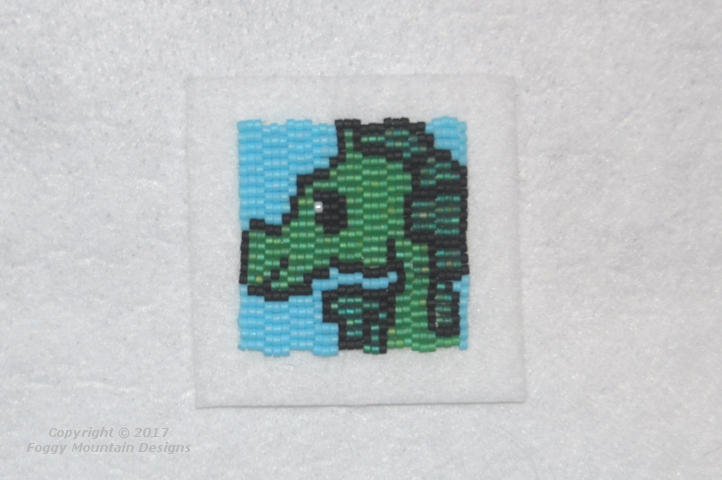 The beaders at Bead-it-Forward would love to see, and stitch, your artwork if you would like to share a link in the comments. 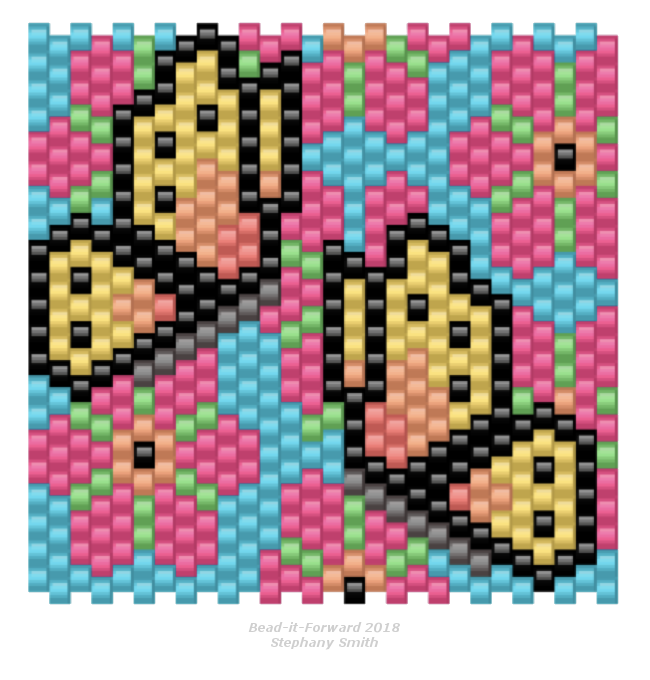 The 2018 Bead-it-Forward theme is butterflies. 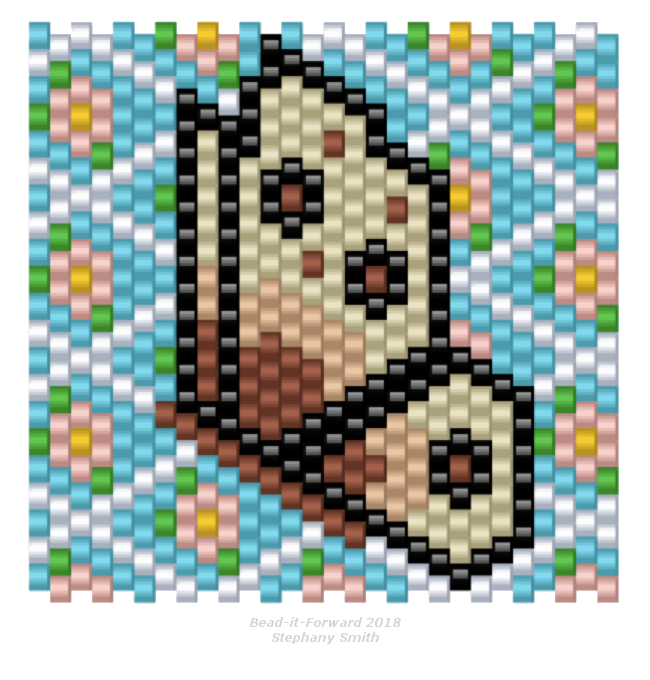 With that in mind, this week’s free pattern is a peyote stitch butterfly square. It is 1-1/2” x 1-1/2” (28c x 21r). I still had neon colors in my pattern software but you can choose any colors you like. 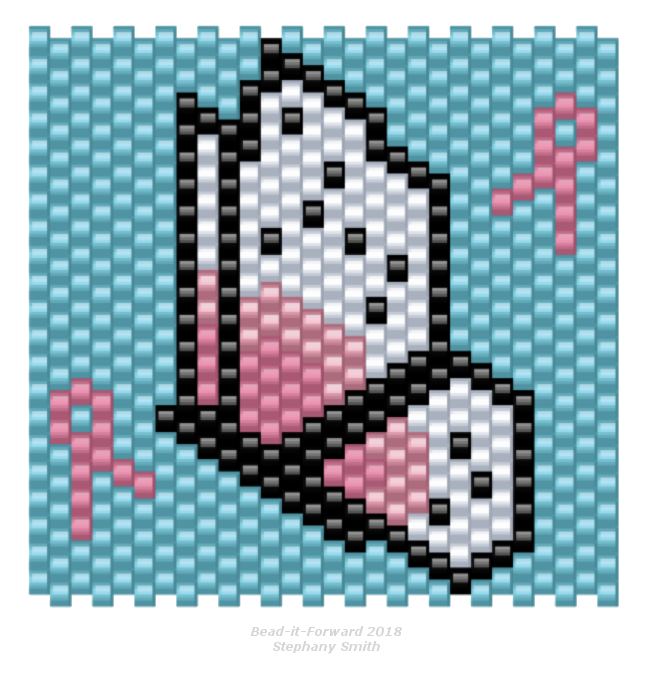 If you are participating in Bead-it-Forward, don’t forget to check the website or the Facebook page, as Amy has changed some of the information. If you are not a participant and would like to join in, here is the link to the new website. You can also find the group on Facebook. My first post of the year is later than usual. My mom passed away in January and things have been a little chaotic. 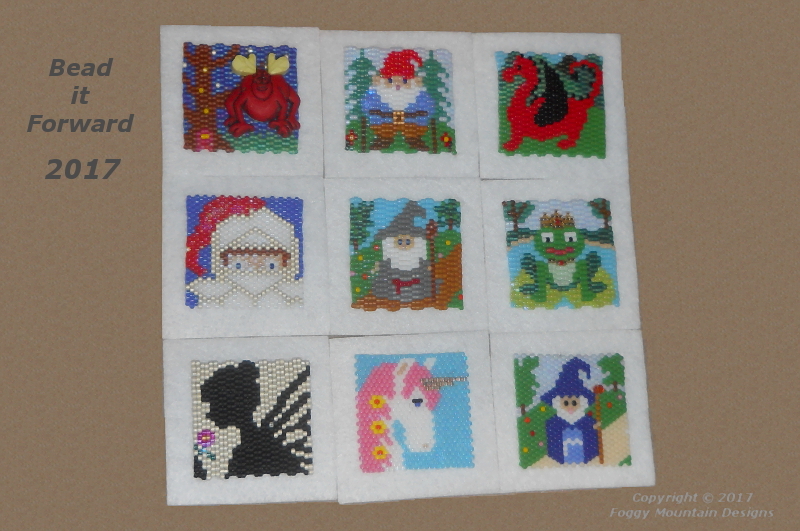 I even got behind on my Bead-it-Forward squares but they finally made it into the mail this week. Thank you, Amy, for giving me a little extra time! Here are the first nine squares and a few closer looks. As I was packaging the squares, I discovered part of them were missing (it happens every year without fail) and spent two days frantically tearing the house apart. I found them – in plain sight on the dining room table. [insert Captain Picard face palm here] I’m not sure if I have selective eyesight or if my glasses just need cleaning. 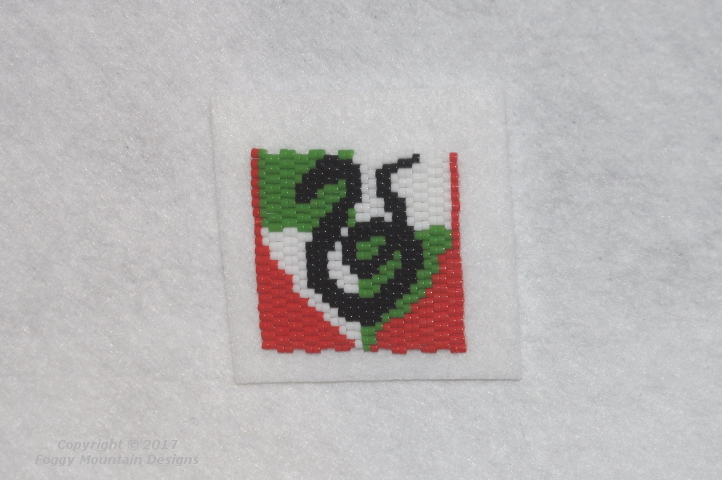 If you have a moment, hop over to Beading by Beth and take a look at the adorable elf feet squares that she designed and stitched for this year. You can find her post here. 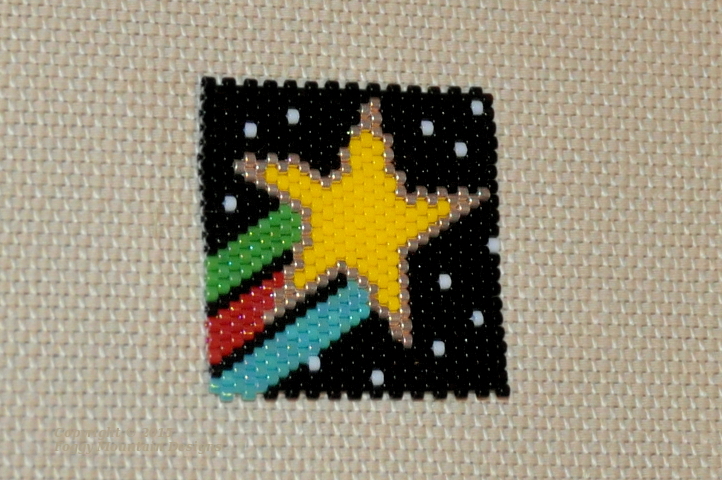 I’ve been working on squares for Bead-it-Forward. This is my Shooting Star. Get the free.pdf pattern here. Then: Off the mat, on the Peltex, and ready to mail. 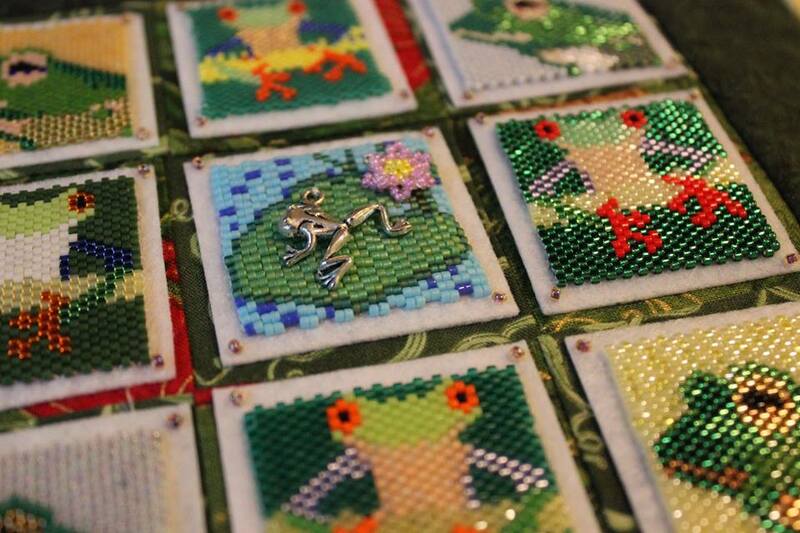 Now: She’s in a quilt pond with eight other cute little frogs hop(p)ing for a forever home for Christmas! This 2015 Bead-it-Forward quilt is up for auction. Click here to see all of the available BIF quilts. 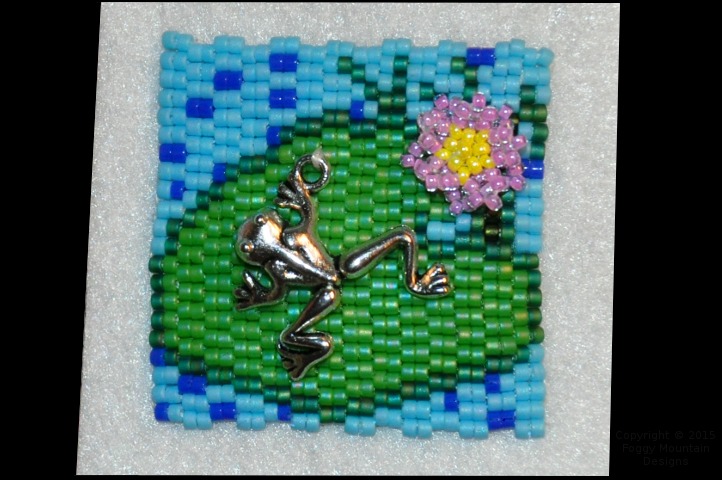 Photo courtesy of Amy at Bead-it-Forward. 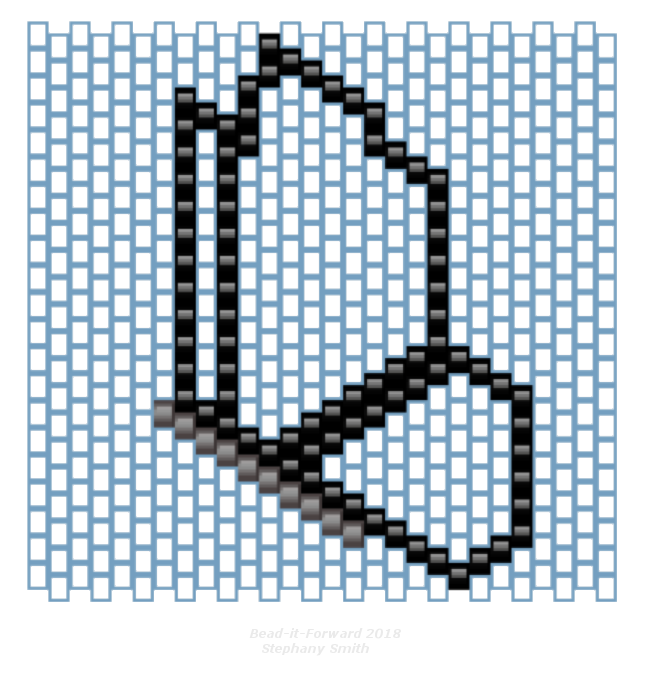 Square number two for Bead-it-Forward 2016 is my design. I tried to figure out how to get a Tardis into the pattern but it’s too small on the inside.